Because mom and sis were in town, we decided to give Yeast a try -- this time lunch time on a weekday. It was busy for a normal weekday, which is always a good sign. Ambience reminds me again of our lunches in Paris -- a typical French bistro type which brings good memories. 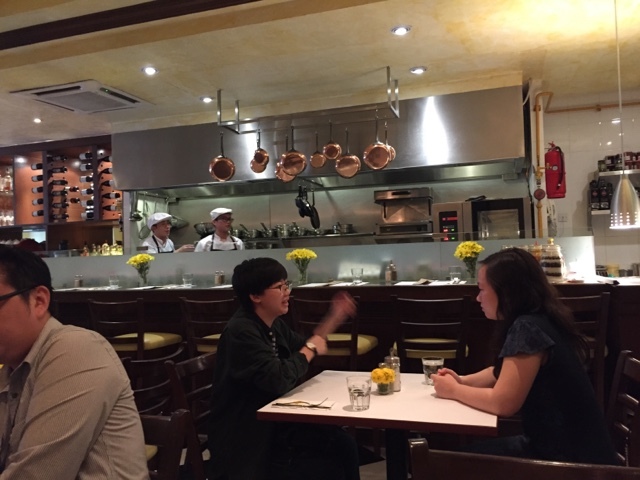 Ages ago when I last visited for a full meal, we saw some foreign staff, some French people mixed with locals. Our recent visit shows mostly local staff and some Filipinos. Perhaps it was the shift, or maybe they have changed staff already. For the lunch meal -- worth going and thumbs up on my book. 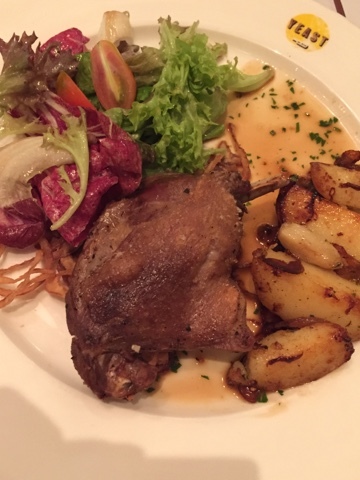 Duck confit -- I always have a weakness for duck stuff. Haven't had duck meat for a while -- so this tasted heavenly to me. 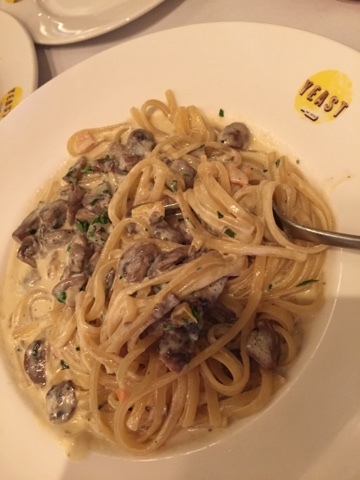 The pasta was also great Creamy and served very hot. This is my comfort food. I can imagine kids will also enjoy it. 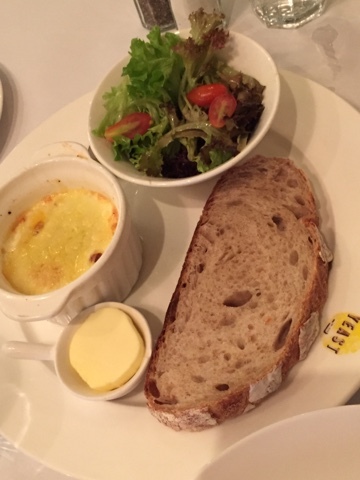 We also ordered a "breakfast" item which was the Egg "Oeufs" Cocotte - a very French-y kind of way to eat your eggs. 2 eggs backed in a small bowl. Inside you will find it mixed with Smoked Duck, Gruyere Cheese and served with some toasted bread and a bit of side salad. Unlike my usual posts, I don't have the bill of this one. Was carried away by the conversation and bonding time with my family that I forgot to take a pic of it. My apologies as well for the poor lighting hence the poor photos for this post. Meanwhile -- it's worth the visit especially if you want a little French flair! Jalan Telawi 2 , Bangsar - beside Antipodean and La Bodega.